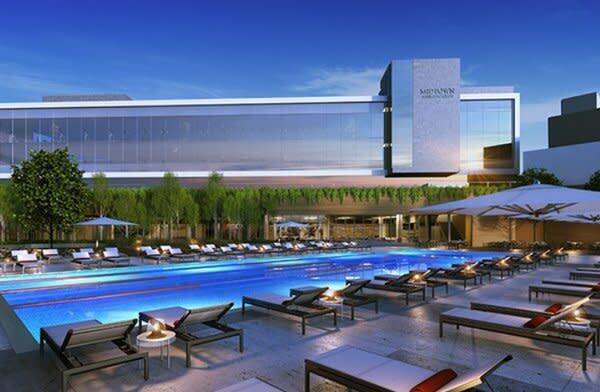 Chicago’s Midtown Athletic Club set to debut its boutique hotel, Waldorf Astoria Chicago opens its Parisian-style courtyard to private events, Eden named a top new green venue for private events and meetings — get the latest meeting and event planning industry news. Upon its opening in July 2017, the Midtown Athletic Club and The Hotel at Midtown will make up the largest health and fitness club in the U.S. The 55-room boutique hotel, located in Chicago’s hip Bucktown neighborhood, will feature four suites (including the V Suite designed by tennis star Venus Williams), two meeting rooms and a private rooftop deck with city skyline views. Read more about Midtown Athletic Club’s exciting expansion. The 201-room hotel is located in the heart of the Loop on the upper 19 floors of the historic Oriental Theatre (designed by famed movie palace architects Rapp and Rapp). The Chicago hotel’s opening marks the debut of the new upscale Cambria brand. The hotel offers state-of-the-art meeting rooms, as well as banquet spaces and catering. 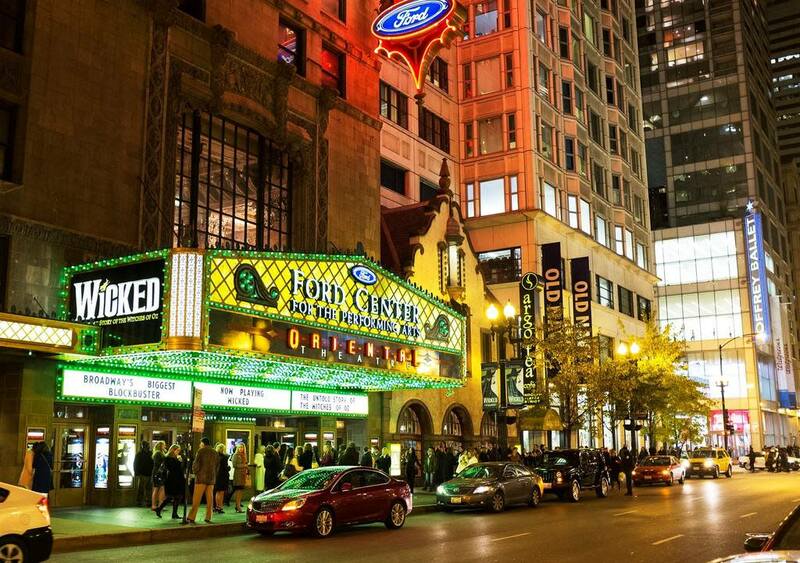 Learn more about the Cambria Chicago Loop-Theatre District hotel. Art and science are the themes at this smart new hotel that pays tribute to scientists and inventors (the Albert restaurant is named for Mr. Einstein). The nearly 2,000 square feet of meeting space features blackboard-style art installations. The hotel is part of Marriott’s Autograph Collection. Get all of the details on Hotel EMC2. After undergoing an extensive $20 million renovation, The Talbott Hotel has reopened with a fresh new look, including updated guest rooms and meeting/event spaces. 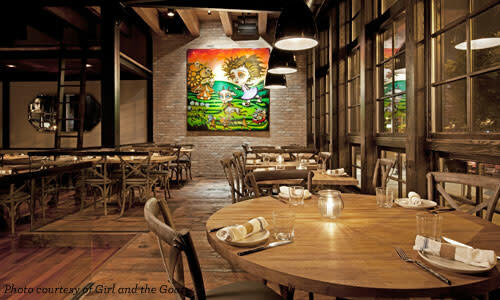 Part of the revamp includes the introduction of the hotel’s new 20 East Restaurant, serving American bistro cuisine. Read more about The Talbott Hotel’s reopening. The AAA Mobil Five Diamond Waldorf Astoria Chicago is now offering its Parisian-style cobblestone courtyard for private events. The 6,000-sq.-ft. courtyard is a secluded and elegant space, which can accommodate up to 250 guests for receptions and dinners. Learn more about Waldorf Astoria Chicago’s courtyard event space. The former 1916 Atlantic Bank Building on Michigan Avenue is currently under renovation and will reopen as the Hotel Julian in 2018. With its distinctive terra cotta facade restored, the new hotel (just steps from Millennium Park) will include a ground-floor restaurant called About Last Knife, which will feature an outdoor seating area. Get more details on Chicago’s new Hotel Julian. BizBash has cited Chicago’s Eden on its list of 11 new green venues for meetings and events, noting that it grows a variety of greens and herbs in its on-site urban garden, and offers communal restaurant seating at tables created locally with reclaimed wood. Eden offers private dining in its eight-seat Sage room or the Celadon room (which seats 24). Read more about Eden and its approach to clean, fresh cooking. Chicago ranked #7 in TripAdvisor’s 2017 Travelers’ Choice awards, with the Windy City lauded for its “cornucopia of modern art, fine dining, cutting-edge comedy and die-hard sports fans.” Noted attractions that visitors shouldn’t miss include the Cloud Gate sculpture at Millennium Park, Buckingham Fountain and The Second City. Discover what makes Chicago one of the top destinations for travelers in the U.S.
Three of Chicago’s most popular restaurants—the Latin-inspired Carnivale, celebrity chef Stephanie Izard’s Girl & the Goat and the modern steakhouse STK-Chicago—were named on OpenTable’s list of the Top 100 Hot Spots in America for 2017. The list is based on the reviews of more than 10 million verified OpenTable diners. 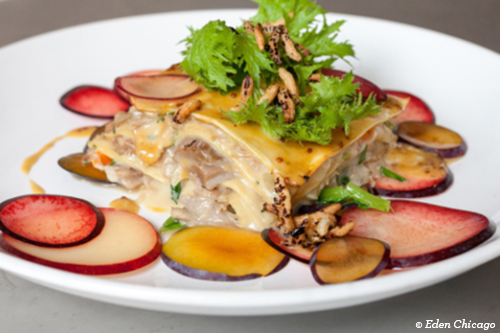 Learn more about Chicago’s hot spot restaurants. 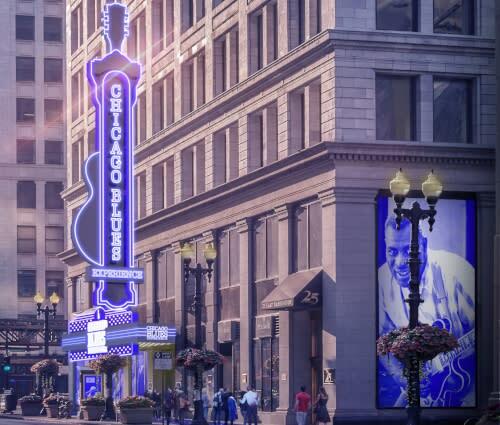 Chicago blues music will be honored with its own museum when the new Chicago Blues Experience opens in spring 2019. Located in the heart of the Loop, the immersive museum will feature exhibits on Chicago’s blues history and a 150-seat lounge hosting nightly music performances. Find out more about the Chicago Blues Experience.